While we haven’t heard anything of the contrary, it seems as if Chris Jericho and WWE might not be as close as they’ve been in the past. A few years ago (maybe even a few months), longtime WWE employee Chris Jericho would have never have considered working for a different promotion than the WWE. Then he attacked Kenny Omega and made his debut for New Japan Pro-Wrestling. But that was Japan and this is the States. Then came ALL IN, when Jericho shocked the wrestling world by dressing up as Pentagon and attacking Omega during the sellout independent show emanating from Chicago, Illinois. 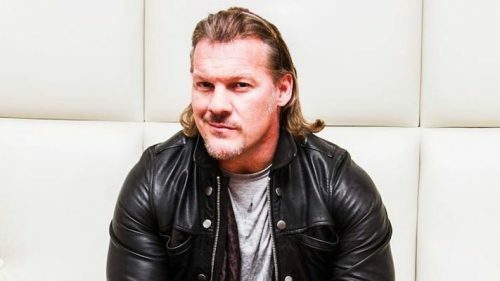 But Jericho cleared up any rumors on his podcast about possible tension with WWE-head Vince McMahon, going so far as to say he spoke with the Chairman about the ALL IN event. Everything still seemed rosy between the “Ayatollah” and the “Worldwide Leader”. Fast forward to this past week in wrestling. WWE holds a massive show in Australia without Jericho and prepares for their next big endeavor in Saudi Arabia, Crown Jewel. Chris Jericho, not one to remain out of the headlines for too long, makes a surprise appearance at NJPW’s King of Pro Wrestling show on Monday, attacking the next challenger for his IWGP Intercontinental Championship, EVIL. WWE announces a “World Cup” tournament at Crown Jewel saying they will crown the “best” superstar of RAW or SmackDown Live with big names competing such as John Cena, Kurt Angle, Jeff Hardy and Randy Orton. Surely Chris Jericho is a big enough name to compete for this “Cup” but Jericho seemed less than enthused about the prospect when asked on Twitter by a fan. Rather short and to the point for the normally verbose Jericho. Is he just playing us? Or has the business relationship between the world’s largest wrestling organization and wrestling’s most talked about free agent soured to point where we never see the first-ever Undisputed Champion in a WWE ring… again.